Here, at HoganWillig, we hope that companies do the right thing and thoroughly test their products to ensure consumer safety. Unfortunately, this is not always the case. We live in a society where health care is privatized and profit-driven. In the rush to get these drugs and other products to market and generating profits as soon as possible, many corners are cut; testing is not as thorough as it should be. Consumer injuries and illnesses are a result of this. This is where we come in. Our experienced litigation attorneys will fight for your rights. Accutane is an acne treatment created by drug manufacturer Hoffman La Roche. Accutane was also sold under the trade names of Roaccutane, Amnesteem, Claravis, Claru, Cecutan, Isotane, Izotek, Oratane, Isotret, Sotret, Isotrex, and Isotrexin. It is sold in both oral and topical applications. It is a synthetic form of Vitamin A that is made to alleviate severe acne symptoms. Unfortunately, many people who trusted Accutane to improve their complexion have experienced serious Accutane side effects from use of this treatment in the past. Accutane can result in serious injuries such as Crohn's disease, inflammatory bowel disease (IBD), and ulcerative colitis. Crohn's Disease and ulcerative colitis are types of inflammatory bowel disease (IBD) that affect the colon and other parts of the digestive tract. IBD involves inflammation and ulcers in that can result in cramping, pain, diarrhea, bleeding, and frequent bowel movements. If you suffer from these injuries, you may have a valid lawsuit against the manufacturers of Accutane. These serious conditions can require life-long therapies and costly treatments and surgeries. Such medical problems can result in mountains of bills, as well as pain and suffering. HoganWillig would like you to know that you have a right to file a lawsuit and receive compensation for personal injuries. If you or anyone you know is experiencing bowel disease after taking Accutane, please call us at 800.636.5255 regarding your possible claim. All of these side effects can lead to death. The FDA has already warned Bayer the maker of Yaz and Yasmin to state the risks in a more clear form. If you or a loved one has been injured due to the use of Yaz, Yasmin or Ocella, call the experienced team of attorneys at HoganWillig. Reglan is a brand name for a drug called Metoclopramide, which is a "prokinetic drug that stimulates the muscles of the gastrointestinal tract including the lower esophageal sphincter, stomach, and small intestine. Reglan is used as a short-term treatment for persistent heartburn, gastroparesis as well as other conditions of the stomach and intestines. It has recently been reported that this drug has been linked to the serious movement disorder tardive dyskinesia. Tardive dyskinesia is characterized by repetitive, involuntary, purposeless movements, such as grimacing, tongue protrusion, lip smacking, puckering and pursing of the lips, and rapid eye blinking. These symptoms are rarely reversible and there is no known treatment for tardive dyskinesia. 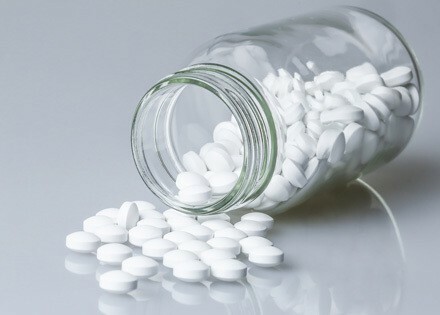 If you or a loved one has developed tardive dyskinesia or other conditions as a result of the drug Reglan or metoclopramide, allow the attorneys at HoganWillig to fight on your behalf. Fentanyl is a powerful painkiller used to treat moderate-to-severe chronic pain. It is often administered through a patch. It is approximately 100 times stronger than morphine. Brand names of Fentanyl include Sublimaze, Actiq, Durogesic, Duragesic, Fentora, Onsolis, and Instanyl. Manufacturers of time-release fentanyl patches have come under scrutiny for defective products. The fentanyl contained in the product was known to be safe, but a malfunction in the patches can cause an excessive amount of the drug to leak which then may be absorbed by patients.